Kit Kat in Japan is now selling special collaborative items – with TBC : one of the most popular beauty salons in Japan. 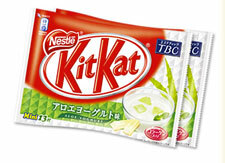 The flavors of the “Kit Kat x TBC” are Aloe Yoghurt and Bitter Almond. Sounds delicious! 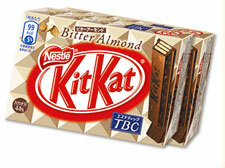 And, there are new flavors in Japan’s Kit Kat in addition to my previous posts Kit Kat in Japan and Kit Kat in Japan 2. 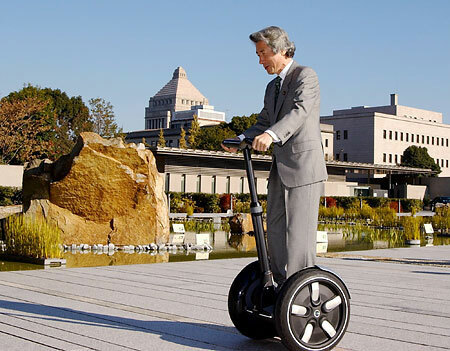 Using technology originally developed for ASIMO the robot, Honda produced a personal mobility device U3-X. 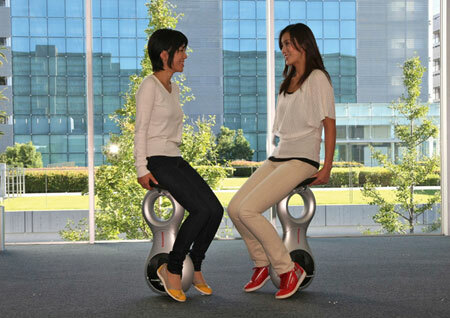 Housed within the large wheel are a series of smaller wheels that can rotate independently, allowing the awkwardly perched user to go forward, backward, side-to-side or diagonally. 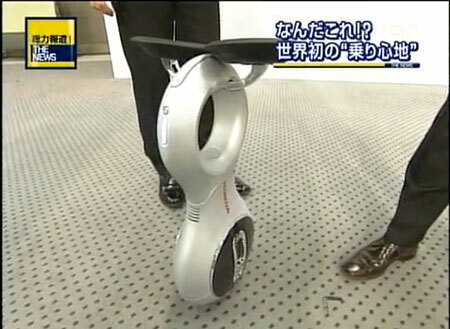 I always get overwhelmed by Japanese technology… I mean, there are similar products such as Segway and Winglet, but Honda keens to point out that this U3-X is portable (less than 10 kg) and easy to use, with fold away footrests and seat cushions. Other friends were also invited to the dinner, and this couple made Pupusa – El Salvador’s version of the tortilla – with cheese and zucchini for us. 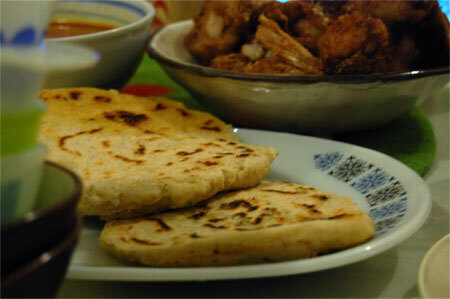 It was my first time to eat Pupusa, and I really loved it! Grated zucchini and cheese are wrapped inside the cornflour dough, then flatten and shape, and grill with butter until crispy. I would definitely want to try making this dish at home. This was served with tomato salsa, and it matched with melty cheese… It was delicious. 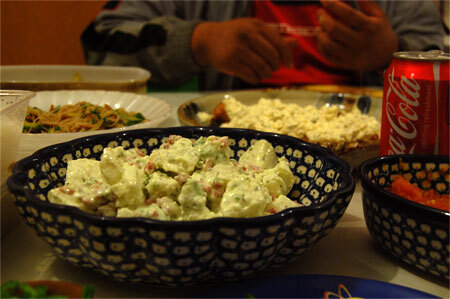 The host (the couple leaving Australia) made several foods, including potato salad with avocado and aioli sauce, rice noodle salad (Japanese style), chicken nanban with homemade tartar sauce, and! simmered Go-ya salad with dried bonito flakes. She is an amazing cook. On the other hand, I just brought Fish Head Mee Fun. :p My husband assumed that they won’t be able to eat this Malay Chinese dish in Japan (I agree), so we bought one normal one with clear soup, and one in laksa. I hope they enjoyed it. It’s getting cold and difficult to manage the yeast-proofing timing. 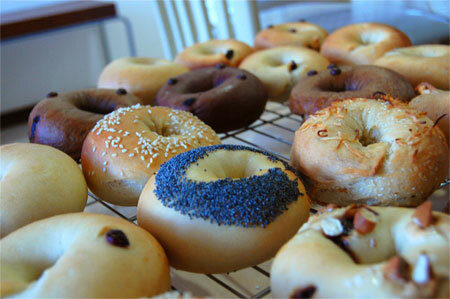 (although summer has the same problem as the temperature is too high: around 40°, and the dough proof very quickly. I’m off to go now! 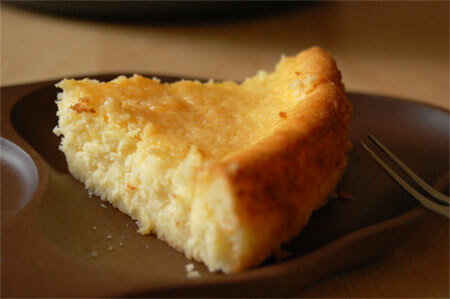 I’m sure cheese cake is one of the popular cakes among all countries. 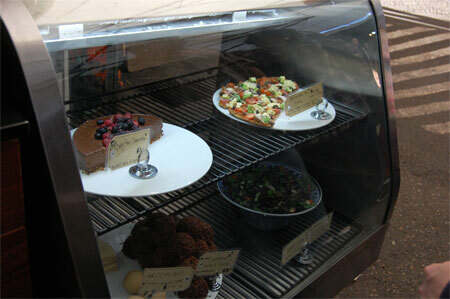 Perth too, I see cheese cakes at most of the cake shops and even in the supermarkets here. But, most of them are too sweet to me. That’s why I don’t usually buy cakes from shops here, and try to make by myself. I was surprised that she didn’t know the difference between “baked” cheese cake, “souffle” cheese cake, and “raw” cheese cake. She thought all the cheese cakes are baked in the oven. I was surprised, because she is the type of person who goes out very often and eat out at many nice restaurants. 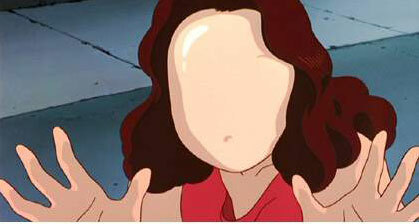 She likes food, and knows many kinds of famous franchise shops around the world. So, I assumed that she would know the differences in different types of cakes. Anyway, after the conversation, I realised that cheese cakes sold here are called just “cheese cakes”. 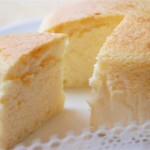 In Japan we have several types of cheese cakes, and the main three types are “baked”, “souffle” and “raw”. Raw cheese cake is the one which the filling is set using gelatin, and served chilled. I’ve been making cheese cakes with different recipes lately, and one question came up to me. What do people in Perth look for in cheese cakes? Is it the rich cheese-y taste? Is it the moist texture? Or, would people like fluffy sponge-like cheese cake? But, I think, people here prefer the cheese cake with rich, melty texture. Can anyone give me any advice?? I like winter, love the cold air and the snow. It was snowing heavily when I was born, my mum says. I was born in February, and the road was frozen when my mum had to rush into the hospital. It was very early morning, around 2am, and the outside was pure white because of the snow. One thing I don’t like about winter is the short daytime. The sun shows up late, and sun goes down early. It starts to get dark around 5pm these days. So, if I want to take some pictures I need to do it before 3~4 pm and it is quite a rush to me. In this cold weather, what I miss is the hearty Japanese winter food. You can enjoy some of them, including sukiyaki and oden at some Japanese restaurants. Or, you can simple make them by yourself! 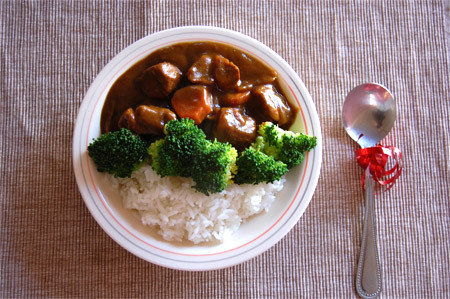 Check out delicious Japanese beef curry recipe from here , or add tomato and arrange it into a soupy Japanese curry like this recipe here. I also recommend white stew (in Japan we call it “cream stew”) in winter. Check the recipe here. Making them are very easy. 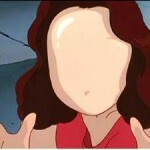 You can buy a packet of roux from grocery shops, and you’ll just need to add some vegetables and meat. Leave it overnight for deeper, developed flavor. If you want to make oden, the best place to go for shopping is Emma’s Seafood grocery store in Northbridge, I think. They sell many Japanese products including oden seasoning, and also fish cakes for oden are available inside the store. I sometimes buy 1 kg of them and do oden party here 😀 You’ll also need konnyaku, daikon radish, firm tofu and boiled eggs etc for oden. The best thing to add is gyu-suji (bits of beef tendon) if you can find! Great with warm sake. While I was in Japan few months ago, there was a tv show featuring the healthy diet taken by Miss Universe candidates. Erica Angyal, who is from Sydney Australia, is a nutritionist who works for Miss Universe Japan as a health consultant, and on the tv show she flew to Okinawa to discover what is so good about Okinawan food and why people in Okinawa live longer than anyone else in the world. 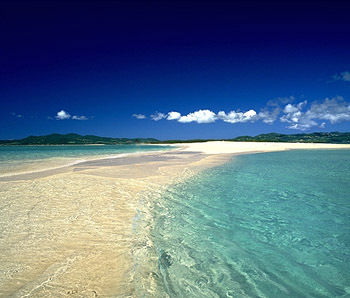 Okinawa is one of Japan’s southern prefectures, and consists of hundreds of islands in a chain over 1,000 km long. 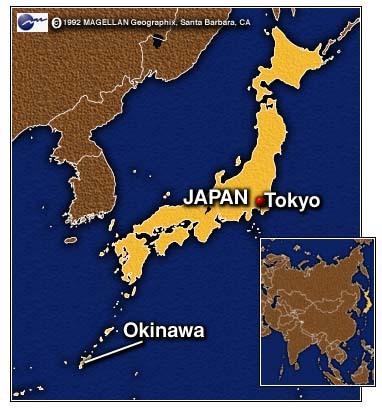 It was only 100 years ago that the kingdom of Okinawa was incorporated into Japan, and the southern islands still maintain their own distinctive culture, language and cuisine. Okinawan cooking tends toward stronger and spicier flavors than Japanese food, and is more heavily influenced by Chinese cooking styles. I’d say Okinawa has the strongest accent in their language as Japanese among all the prefectures in Japan. 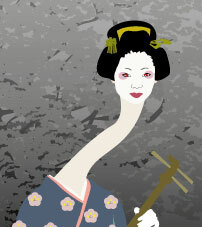 Osaka people speak Osaka dialect, and Fukuoka people speak Fukuoka dialect. Some of them are very difficult to listen to, but still understandable. But, Okinawan language is very different! That’s what makes this place to be a popular tourist destination for other Japanese people. Different culture, different life style, and different food. But, still the same country. The food you see in Okinawa often contain pork and seafood. Pork is a very important ingredient there, and every part of the pig is used: including feet, ears to tripes. And, because Okinawa has a tropical climate and is surrounded by ocean, many local seafoods and seaweeds are used in cooking, and some of them are not available in Japan’s main island. The reason why Okinawan people are the most long-lived on earth is not only these food. It’s because of HOW people eat them everyday. Their everyday meal contains rice, soup, and few side dishes. There are many vegetables, seaweed and seafood used, and the common cooking method is stir-frying. They use olive oil very often too. 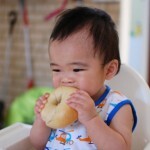 Eating many kinds of food everyday is very ideal thing in order to take different nutritions. Besides, most of the food they eat are very healthy – seaweeds are good for skin and hair, brown rice is more nutritious than white rice, and seafood gives you Omega-3 which can help to lower the amount of cholesterol in the body. While in Okinawa, I enjoyed Okinawan food everyday. There are few small restaurants around the hotel I stayed, and these restaurants served home-style Okinawan food. Very delicious! 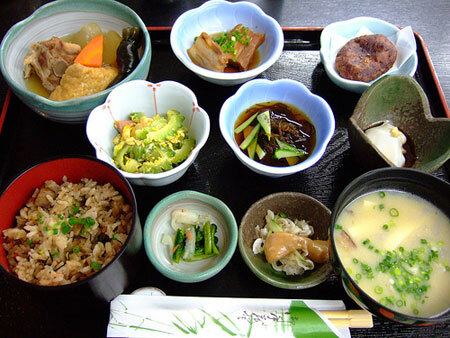 Typical Okinawan food such as chanpuru dishes including tofu chanpuru and go-ya chanpuru, and rafuti (pork stewed in miso, soy sauce, sugar and awamori). Taco rice – basically a taco that uses rice instead of a taco shell. 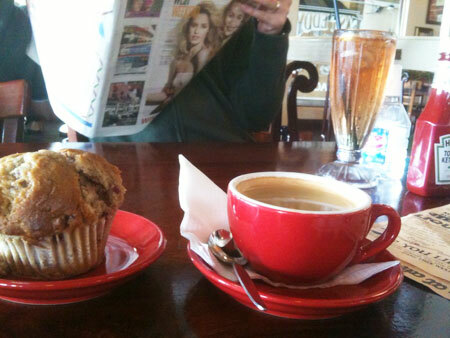 It was a weekend with lots of food for me… wake up, eat bagel, get Happy Meal from McDonald’s, have a muffin + black coffee at Fast Eddy, then dinner at South Ocean … I really wonder where this appetite comes from. By the way, my brother’s birthday is coming up! I buy a birthday cake online and get it sent to the house every year for him 😀 I’m still choosing what cake I should buy this year… ummm, I would make one for him if I was in Japan! 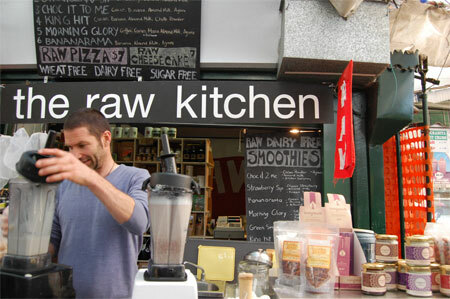 After reading the reviews of The Raw Kitchen, I was excited to try out their food at Raw Food and Smoothie Bar in Fremantle Markets. 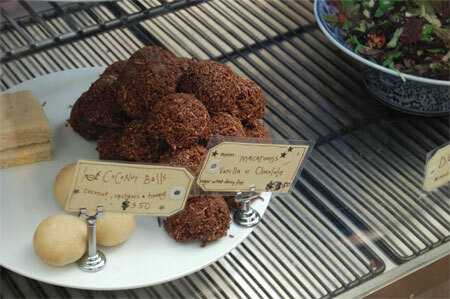 All the food they serve there are raw (uncooked), including sweet nuts and chocolate balls and delicious pizza. When I arrived the stall, the owner couple (I believe) looked so busy as there was a line of people waiting to order. The hand-written menu board, the showcase of ready-made food and the cook books of healthy food arranged on the top of the counter.. although the shop is small, everything around there looked so simple and natural. 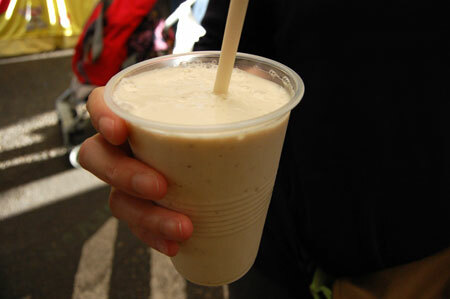 As my turn came, I ordered one of their “raw” smoothie, Bananarama, which contains fresh banana, almond milk etc. He opened the fridge and put a couple of banana and some ingredient into a blender, and few seconds later my smoothie was done! I loved the taste, I must say. 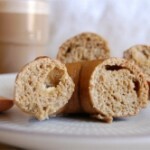 Especially, knowing that there is no “unwanted” or “additional” ingredients used, I’m glad that I tried. The pizza looked so nice too, but my stomach was pretty full from the lunch I had just few minutes ago and I only had a space for 1 glass of smoothie then. I’d like to try out their food and sweet on my next visit. I love their concept, being eco and animal friendly. 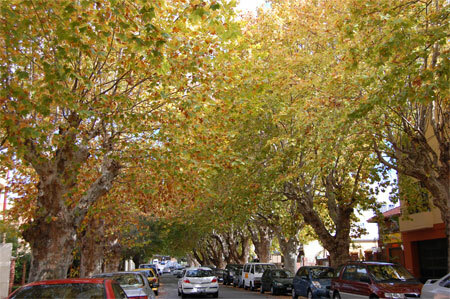 The owners have a strong passion for raw food, and they believe that health can be achievable by eating nourishing food. Their greatest passion is for the education of kids, and they offer a variety of workshops and information classes where people can learn what’s so good about eating raw food. 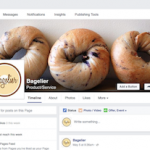 This is the place where you can enjoy the real healthy food made by people who care. You may have played this Pac-man game before, an arcade game developed by Namco. Or you may at least have heard the name before. This game was first released in Japan on May 22, 1980. 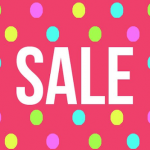 Which means…. it is Pac-Man’s 30th birthday today! If you go to www.google.com today, you can enjoy Pac-Man game for free! 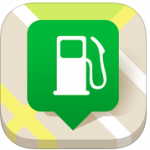 You can also play the game after today by finding the logo here in Google’s logo archives. Just look it up in the 2010 April-June section. That’s where it will be filed, in the future. It sounds like I’ve been watching Japanese cartoon at home almost everyday, as I’ve just wrote about Tales of Earthsea, but I do enjoy watching cartoon quite often. 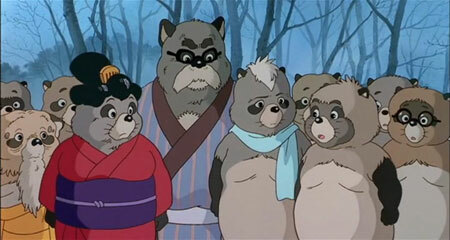 I rented this Ghibli film “Pom Poko” (1994) just recently and I must say I did enjoyed the whole story. Well, I’ve already watched this film few times in the past, but watching it again here in Perth reminded me of all the feelings about Japan and made me to rethink about the cohabitation of humans and animals. The story is about tanuki, Japanese raccoon dogs, trying to survive the late 1960s. 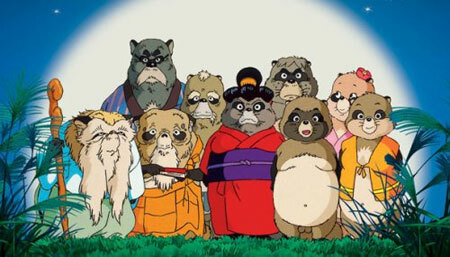 A gigantic and ongoing suburban development near Tokyo, Japan, threatens a group of wild tanuki. As the development is cutting into their forest habitat, tanuki had to think what they should do to protect their land from humans. In this film, you can enjoy listening to lots of old Japanese songs including antagata-dokosa (a traditional warabe uta of Kumamoto prefecture) , and the appearance of famous Japanese monsters and mythological creatures. 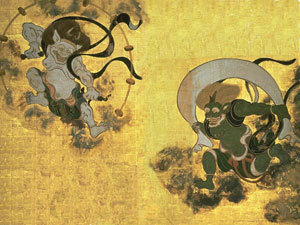 In Japanese folklore tanuki has supernatural shape-shifting powers to trick humans. 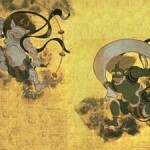 In this film tanuki transform themselves into Japanese monsters and mythological creatures to scare people: such as rokurokubi, noppera-bo and fujin raijin. The film ends on something of a bittersweet note for the tanuki. Throughout the film there is a lot of comedy as well as ecological messages. 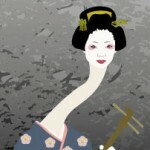 The film reminds me of old Japan, especially the time I was a kid. Japan has changed a lot, I think. No one would believe that I was climbing on trees, catching zarigani (crawfish), fighting with wild monkeys and playing with beautiful medaka (killifish) just 10 years ago near my house!